I can’t believe my breast augmentation consultation was almost a month ago, and my surgery is literally around the corner. It was an exciting day for me as I have been dreaming of this moment since my teenage years. In all honesty, I was a tad bit nervous for my consultation. I think I was nervous only because I am so self-conscious about my breasts. Being so self-conscious about them made me not want to breastfeed my children, and I have never been comfortable with my partner seeing my bare chest. I had to snuff out that nagging thought in my head, because in order to get the breasts I have always dreamed of, someone is going to have to look at them! 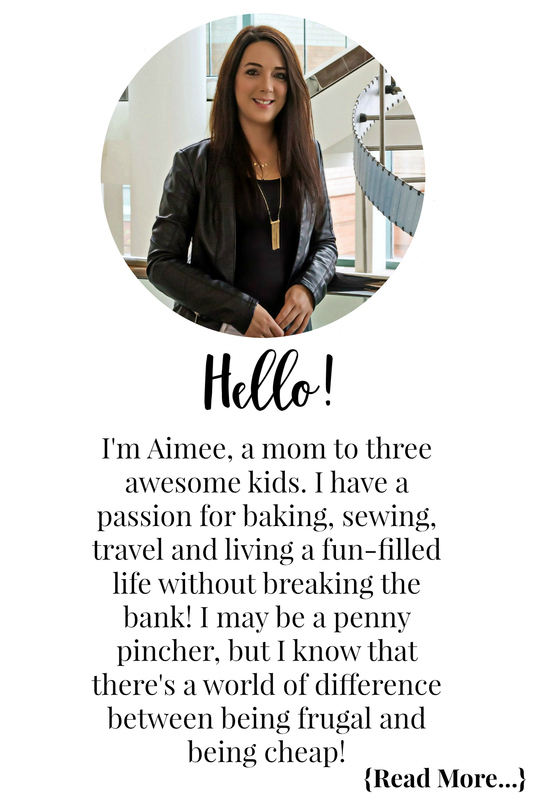 If you are new to this series on my blog documenting my journey you can read the first post for all the details behind my decision and finding my clinic. Upon arriving to Edelstein Cosmetic for my breast augmentation consultation, I filled out some forms with personal information and my medical background. I then met with the nurse and Dr. Jindal in his office where we got down to the nitty-gritty. Since I have been wanting a breast augmentation for so long I had done my research well. I went into the consultation with a good understanding of the procedure, type of implant I wanted, and so on. Dr. Jindal went over the types of implants, incision options, and implant placement. He also went over my medical history and asked some additional questions. Dr. Jindal then went over the surgery itself. He discussed the procedure, how long it is, potential complications, and recovery. Again, since I have been researching this for so many years, much of the information we went over I already knew. After our meeting in his office to go over the important information, and to make sure I was a good candidate for the surgery, I was moved into an examination room. I went into my consultation knowing I wanted to go with a cohesive gel silicone implant, aka the gummy bear implant, over a saline implant. While many people may be fearful of silicone implants, the ones on the market today are not like the silicone implants of the past. You can watch my surgeon, Dr. Jindal, go over different types of breast implants in the video below. He also shows you how the cohesive gel stays put if your silicone implant were to rupture. Dr. Jindal came in with the nurse to measure my breasts. 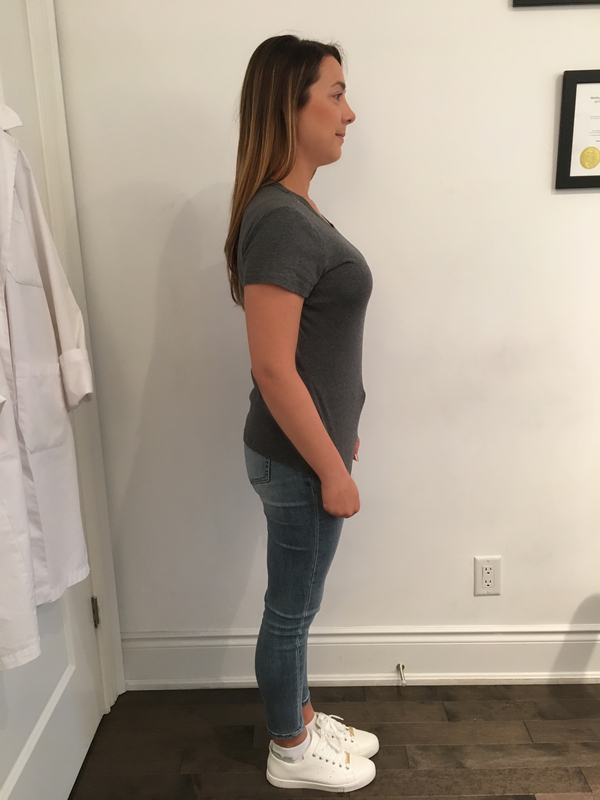 He went back to his office to decide on implant sizes and profiles he felt would complement my body shape, and give me the results I was hoping to achieve. The nurse came back with the list of sizes and profile options. 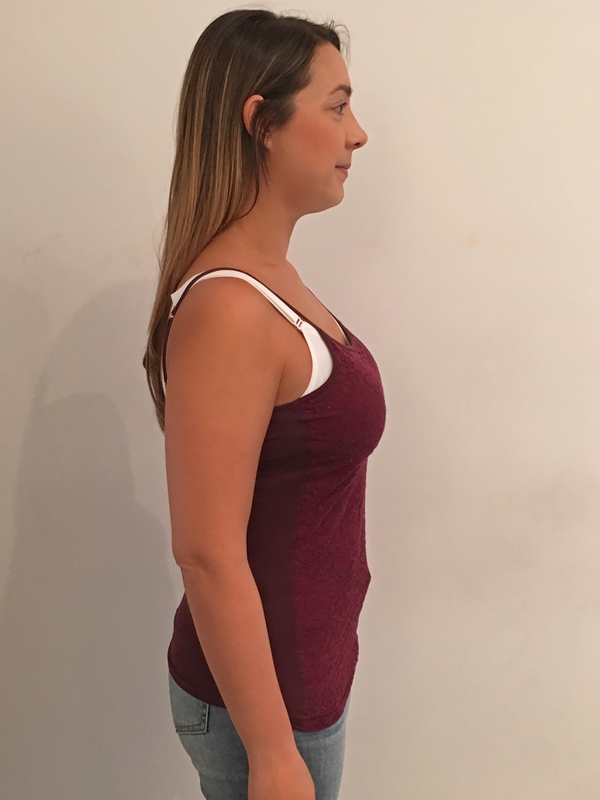 I knew I didn’t want to go with the moderate profile in any size as it is more of a flat implant vs the full profile which is a rounder implant. While doing my research I went into my breast augmentation consultation thinking I wanted a 375 cc size implant. One thing I will tell you, a 375 cc implant on one person can be completely different on you. I put on a bra with no padding and no wire. This gives you the best idea of what your implants will look like “naked”. You also have to remember when trying on sizers that you will lose about 20% of the size as it is not being put on the outside of your body, it is being put under your muscle. The first size I tried on was around 380cc and knew it was not what I wanted, especially knowing I would lose about 20% of that look, they were too small. I was so confident we didn’t even take a picture! Next I tried on 415cc and loved the look of those, but again knowing I would lose 20% they would look more like the 380cc and that was not as big as I wanted. The last size Dr. Jindal chose was 450cc full profile, it was perfect. With losing 20% it will be close to what 415 cc looked like, slightly bigger. I knew that was what I wanted to go with. Once I had picked the size I wanted to go with I got dressed and went downstairs to wait for Louise. She is the surgical manager and would go over the last steps to booking my breast augmentation. Louise went over the surgical quote from Dr. Jindal with me which is valid for 6 months. It included a deduction of my consultation fee ($150), and also included a free SkinPerfect Rejuvenation Session valued at $120. After years of research I knew how much it was roughly going to cost and had been saving. Like I mentioned in the first post of this series, I didn’t want to finance my surgery and saved until I knew I had enough to pay in full. After my breast augmentation consultation with Dr. Jindal I was fully confident in my decision and I was ready to book my surgery. I paid my deposit which reserved the surgical suite, anesthesiologist, nurses, and equipment. My surgery date was booked for April 26, 2018 and my pre-op appointment for April 6th. Louise reached out to me on March 22nd. Another patient needed to switch surgery dates and was wondering if I was interested in swapping. Their surgery date was April 9th! Wanting this surgery for so long this was what I was secretly hoping for. The sooner I could have my surgery the better! I accepted the swap and began to prep. For the first 2 months post-surgery you cannot wear any underwire bras. Knowing this I ordered some nice Calvin Klein bralettes and sports bras from The Bay. I also picked up a zippered hoodie. The first three days you need to restrict your arm movements. I likely will not be able to, or want to, lift my arms up for the first while. Having a zippered hoodie that is baggy will be extremely helpful! The earlier surgery date meant my pre-op date had to be moved up. My new pre-op date was on March 27th. Stay tuned as I will share all about my pre-op appointment in my next post! OMG, your surgery is Monday!?! Are you ready? Not that it matters now, I guess. How exciting for you. I admire that you have researched and thought it out for a while, as opposed to rushing to it. Sadly, I’ve always been bigger on top. I was considering a reduction, however I’m too much a wimp for it, now. Maybe when my back can’t handle the weight anymore. I wish you a speedy and painless recovery. You go girl, you got the! I am as ready as I can be! Honestly I am super excited and was truly hoping that I wouldn’t have to wait long for a consultation and surgery date. Luck was on my side with the consultation cancellation that got me in for my consultation sooner and then the surgery date swap! I am hoping I can be back to the blog (lightly) the week after my surgery since typing doesn’t require my arms to move much and they stay at my sides LOL!